WASHINGTON (CNS) — In most election cycles, there may be 30 to 50 new members of Congress. For 2019, there are 89 — and a 90th may yet be headed for Capitol Hill based on how a disputed House election in North Carolina plays out. Yet, despite the broad turnover, the number of Catholics in the current Congress is little changed from that in the past Congress. 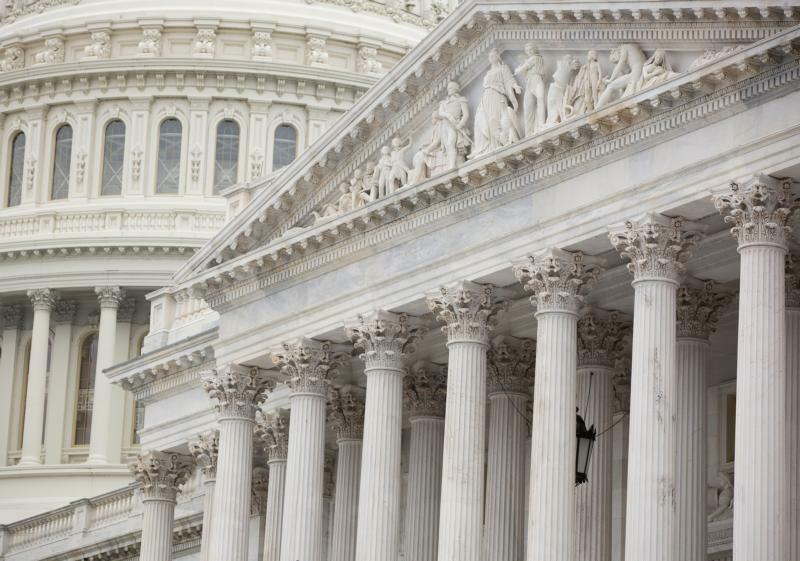 Two years ago, there were 168 Catholics in the House and Senate combined, a high-water mark. This year, for the 116th Congress, the number is down five, to 163. Even so, their representation in House, at 32.5 percent, is more than half again their representation in the U.S. population, which the Pew Research Center pegs at 21 percent. Pew’s biennial “Faith on the Hill” report, which breaks down the religious composition of Congress, notes that Catholics are the single largest denomination in Congress. The next highest, at 80: “unspecified/other” Christians who are members of denominations smaller than the 16 listed in the Pew report, or did not specify their religious affiliation. Greg Smith, associate director of research at the Pew Research Center, said the percentage of those in Congress who did not specify their branch of Christianity is triple that of the general population, which registers at about 5 percent. But one thing Pew can do in its surveys is follow up to ask respondents if there is a specific denominational affiliation. For its numbers, the “Faith on the Hill” survey depends on results from a questionnaire developed by CQ Roll Call and sent to each member. Among those who did specify, Baptists come in at 72 members in both the House and Senate, followed by Methodists at 42 and Jews at 34. Presbyterians, Lutherans and Episcopalians/Anglicans are each tied at 26 members apiece. The only other entries in double digits are Mormons and members of nondenominational churches, both with 10. Pew noted that the number of the Church of Jesus Christ of Latter-day Saints in Congress is the lowest in at least a decade. Some argue “you can’t be a Catholic and a Democrat,” because of the party’s support for legal abortion. But the Pew numbers show more Catholic Democrats in the House — 87 — than Catholic Republicans, who number 54. In fact, the number of Catholic Democrats is not far from the number of Protestant Democrats in the House — there are 97 of them. In the Senate, though, the margin is closer, but more Catholics in the upper chamber are Democrats than Republicans, 12-10. Protestant Senate Republicans, though, double the number of Protestant Democrats, 40-20. Among new members, despite the high turnover rate, Catholics were the only religious group in double digits, with 29 new members. The “Faith on the Hill” report said, “Catholics have held steady at 31 percent over the last four Congresses, although there are now many more Catholics in Congress than there were in the first Congress for which Pew Research Center has data.” That was when there were an even 100 Catholics in both chambers, good for 19 percent of the total. It was the 87th Congress, which began in 1961 — the year the nation’s first Catholic president, John Kennedy, was sworn in. While Catholics may be down five to 163 members in this Congress, they also had 163 in 2013-14, and 164 members in 2015-16. The number of Protestants has dwindled over the past two generations from 398 in 1961. In four of the past six Congresses, they have totaled fewer than 300. While much has been made of two Muslim women now serving in the House this term, there are just three Muslims overall in Congress. There are five Orthodox Christians, three Hindus, two Buddhists and two Unitarian Universalists. Perhaps the most underrepresented group in Congress are those who claim no religious affiliation. While Pew puts their number at 23 percent of the U.S. population, there is just one who professes such: Sen. Kyrsten Sinema, D-Arizona. There may be others, as 18 members of Congress — up 10 from two years ago — either didn’t or wouldn’t answer the question from CQ Roll Call. “It’s hard to know what to infer from that,” Smith told Catholic News Service. It is apparent, though, that candidates for office still see a need to check the “religion” box on their resume when presenting themselves to voters — and that CQ Roll Call believes it to be important enough to continue to ask the question nearly a half-century after it started asking about religious affiliation. “It is true — it’s definitely true — when we look at our survey data, that being an atheist is, and long has been, a political liability,” Smith said. That percentage has dropped, though, from 63 percent of Americans saying in 2007 they would be less likely to vote for an atheist, to a bare majority of 51 percent in 2016. On the other hand, the religiosity of a candidate may not necessarily seal the deal with voters. In early 2016, Pew asked survey respondents about the religiosity of a fistful of presidential aspirants. The percentage of those agreeing that the following candidates were at least somewhat religious were: Housing and Urban Development Secretary Ben Carson, 68 percent; Sen. Ted Cruz, R-Texas, 65 percent, Sen. Marco Rubio, R-Florida, 61 percent, Hillary Clinton, 48 percent, Sen. Bernie Sanders, 40 percent; and, checking in at 30 percent, eventual President Donald Trump. “Donald Trump was not widely seen as a particularly religious candidate and that did not hinder his candidacy for the Republican nomination,” Smith said. Religion in public life is, and can be, a good thing, according to Douglas A. Hicks, dean of — and a religion professor at — the Oxford College of Emory University in Atlanta. “Welcoming more faith perspectives into public debate risks even more cacophony and conflict than we already experience. Like most other matters of import today, citizens hold divergent religious beliefs and practices and will disagree,” Hicks said in a Jan. 10 essay.